For children ages 10-12, transition is the name of the game. Accompanying these not-quite-children, not-quite-teens on their spiritual journeys is a constant balancing act. 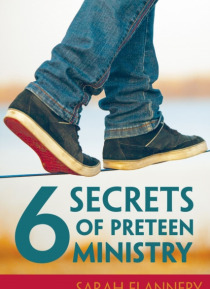 6 Secrets of Preteen Ministry will help you manage this balancing act by covering the basic principles of discipleship with preteens, including developmental milestones, the role of parents, the use of technology, and ways to b… e inclusive of preteens with special needs.